Three-time Olympic medallist Rob Hayles has announced his retirement. 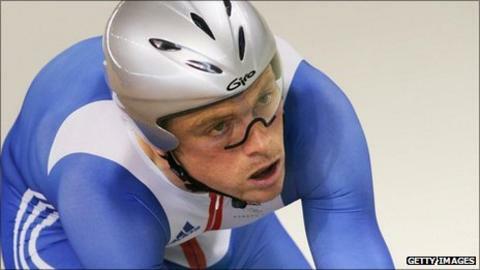 The 38-year-old professional cyclist from Portsmouth won Olympic silver and two bronzes on the track, as well as two World Championship titles. Hayles also won Commonwealth Games gold and silver during a glittering career. "After 27 years of racing, 19 of those full time, and 16 as a professional, I have had an amazing time but feel it's time to concentrate on other very exciting things," said Hayles. Hayles hope to continue his career in broadcasting and also took the role of rider/manager at the British-based Endura squad at the start of the 2010 season. On the road, Hayles won the British road race title in 2008 and also held the national 10 and 25-mile time trial titles. He spent three years from 2001-2003 racing on the continent for the French Cofidis squad. "Cycling has been a great life for me, and i hope it will continue to be in one way or another," added Hayles on Twitter. Hayles' last race came on Sunday at the national hill-climb championship in Buxton where he finished in 14th position. He added: "The highlight of my career has to be winning my first World Track Championship title with Mark Cavendish in 2005, and it's been an absolute pleasure seeing how his career has taken off since then. "It's time to step back and watch another generation of British cyclists rule the world." Read more on Hayles the nearly-man?